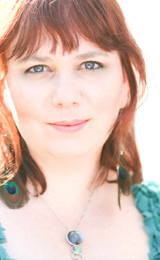 Lyrical Venus » Victoria Trestrail on Lyrical Venus Radio Tues 8/25! 08.25Victoria Trestrail on Lyrical Venus Radio Tues 8/25! Once again, I marvel at the power of the internet to connect me, right here in Iowa with my little laptop, to amazing people from around the world! 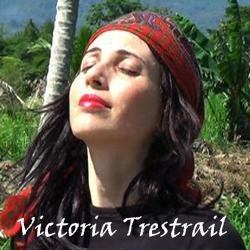 Take Victoria Trestrail – born and raised on the island of Trinidad in the Caribbean, Victoria’s heritage is Venezuelan, Scottish, Portuguese, German and English. Those varied backgrounds peek through her music, from wild gypsy dance and grooving Latin rhythms to melancholy heartbreak songs, all woven through with her haunting voice. A poet for over 20 years and songwriter for 2, Victoria is also a self-taught audio engineer and producer. And of course, you can tune in to the interview with Victoria on Lyrical Venus! Tues 8/25. Show is from 9-10am Central time US, interview will start shortly after 9am. The second half of the show will feature music by artists I met at Rocky Mountain Song School & Folks Fest! Tune in to KRUU-LP 100.1 FM here in town or to kruufm.com online anywhere! I’ve got to spend some time with this recommendation… looks great. Hey Dave, thanks for stopping by! I hope you enjoy Victoria’s music! Thanks for reading Christine! Victoria is definitely one cool chica!